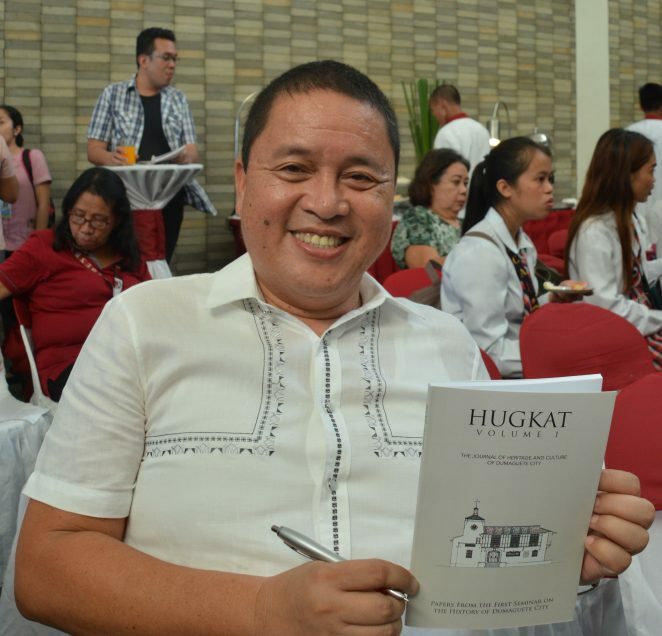 The first volume of Hugkat, Dumaguete City’s journal of heritage and culture, was launched last November 28 at Paseo Perdices. The journal features papers by Sillimanian historians Prof. Carlos M. Magtolis Jr., Prof. Victor Emmanuel H. Enario, Silliman University Vice President for Academic Affairs Dr. Earl Jude Paul L. Cleope, and the late Prof. Caridad A. Rodriguez. Named after a Cebuano word that means “to unearth” or “to trace,” Hugkat is a publication project of the City Heritage Council and the City Tourism Office that was established to be a repository of articles about Dumaguete for the preservation of the city’s heritage and culture. Hugkat Volume I is a compilation of selected papers from the first seminar on the history of Dumaguete City held at the Silliman University (SU) Audio-Visual Theater October 6, 2000. 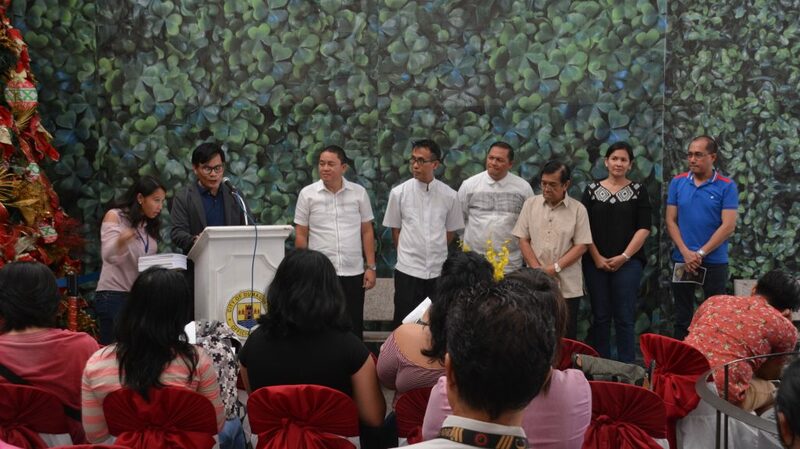 Five papers have been included in the journal’s first volume: an article on Padre Mariano Bernad’s role in the city’s history by Fr. Roman C. Sagun; on the evangelical activities and challenges faced by early Protestant missionaries in the city by Prof. Magtolis Jr.; on Dumaguete during World War II by Prof. Rodriguez; on the list of presidents and mayors of the city from 1901 to 2001 by Dr. Cleope, and on the political career of former mayor Jose Pro Teves by Prof. Enario. Dr. Cleope serves as the culture journal’s Editor-in-Chief, with Palanca awardee Sillimanian writer Prof. Ian Rosales Casocot as Associate and Technical Editor. Dr. Cleope and Prof. Casocot are also the Chair and Deputy of the City Heritage Council, respectively. 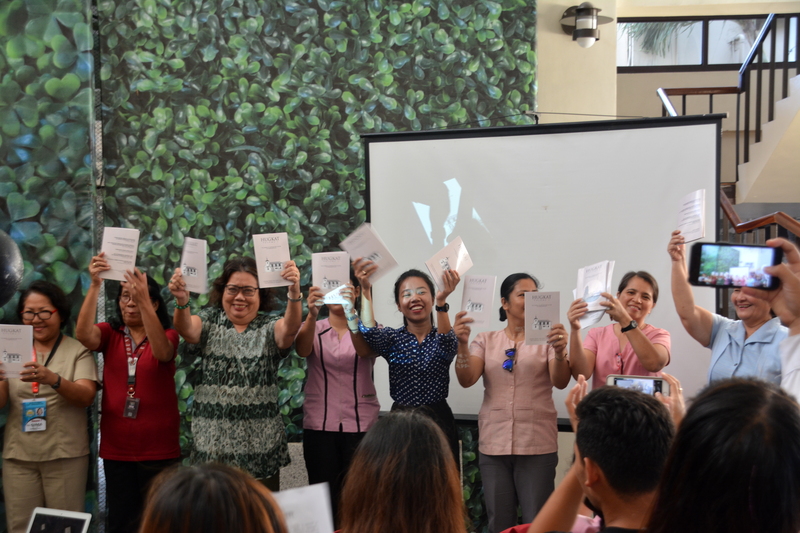 During the launch, representatives of libraries in Dumaguete City received two copies each of the journal. OIC University Librarian Isabel Mariño received the copies for the Silliman University Main Library. Copies of Hugkat Volume I are on sale at the Dumaguete City Tourism Office at Quezon Park for PhP300 each.